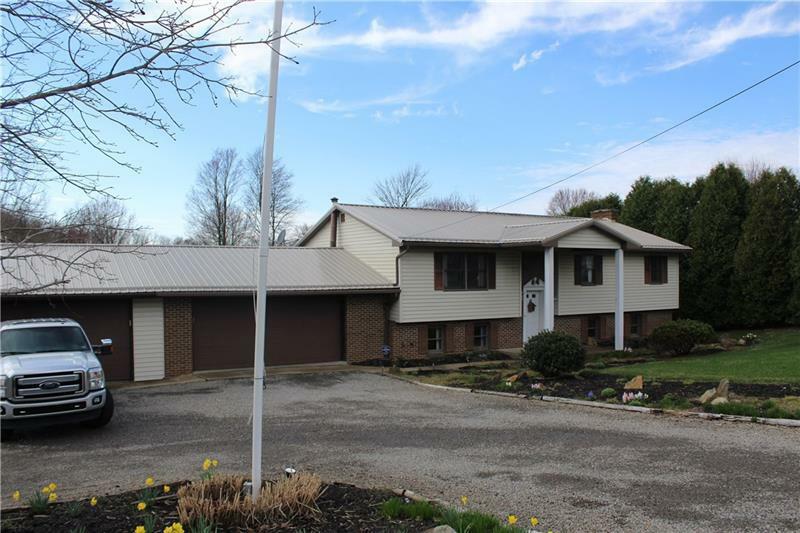 Very well maintained 4 bedroom home on just over an 1 1/2 acres in the country. Home has a living room, dining room, kitchen and 3 bedrooms upstairs. Master bedroom has a full bath. The lower level has a beautiful huge family room with stone fireplace, a den and the 4th Bedroom. This house has the garage space people need. there are 2 attached garages that are 24x25 and 24x32. Nice big deck on the back of the home to sit on and enjoy the views. Listing Courtesy of: Allegheny Real Estate Services, Inc.
Hello, I'm interested in 445 Sherrett Road.